Dragonetti Brothers Landscaping, Nursery and Florist Inc.
At Dragonetti Brothers, our customers are our top priority. Through our solid reputation of quality work and prompt service, we strive to continue providing professional, courteous service and quality workmanship to every customer. Our services are designed to our customers vision, and we even provide free consultations to help you make that vision come to life. Our staff is dedicated to providing the best possible customer service and assistance in a timely and sufficiently manner. 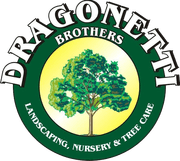 If you’re looking for a full-service landscaping contractor in NYC, look no further than Dragonetti Brothers. Dragonetti Brothers is ready, willing and able to serve all of your NYC landscape design needs. We work all throughout New York City, including Brooklyn, Queens and Manhattan, and will leave your front lawn or backyard looking alive and beautiful, delighting and impressing your neighbors and boosting your property’s curb appeal. Why Dragonetti Brothers for Landscaping Services in NYC? When it comes to your precious landscape, you want a landscaping business in NYC that you can trust. Nobody fits that bill better than Dragonetti Brothers Landscaping. We have been creating and maintaining beautiful landscapes throughout New York City for over four decades. Whether your property is residential or commercial, we have the skills and experience to provide you with a beautiful landscape. We are a local, family-owned business that treats every landscaping job like it’s part of our own neighborhood. Dragonetti Brothers Landscaping is a customer-focused, affordable landscaping services company in NYC that will provide you with a high-quality landscaping experience with minimal interruption to your daily life. For landscape design, alteration and landscape maintenance, we are the company to contact. At Dragonetti Brothers, we’re great at installing a bit of nature into the concrete jungle. No job is too big or too small for our crew. We do it all when it comes to your property’s exterior and we can’t wait to show you what we can do for you. For a free quote on our incredible landscaping services, contact us online today or call us anytime at 718-451-1300.
" Dragonetti is awesome. They removed a 60+ foot Blue Spruce from my Brooklyn backyard and moved it through a ground floor apartment without a trace. I've since used them for stump grinding, fence work, sod installation and landscaping. Always professional, prices are fair and my yard looks great. "